When The Artist received all of the attention that it did a few years ago, winning five Academy Awards that included Best Picture, I must admit that I was a bit dismayed. Critical praise was to be expected, because the film is an artistic homage to silent cinema. It is also a film about Hollywood, which has proved very fruitful in the past few years. This just proves that the film industry is filled with a bunch of vain sentimentalists, but it was the success The Artist had with modern mainstream audiences which baffled me. Sure, some of this was merely boosted after the Academy’s choice, but the amount of people who went to the theaters to watch a (mostly) silent film still impresses me. 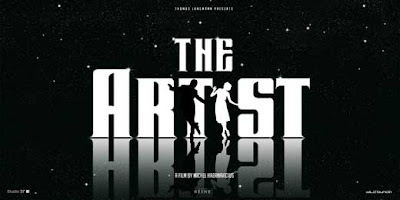 Click HERE for our review of The Artist Blu-ray. Director Michel Hazanavicius is not the first to make a silent film after the arrival of sound. In 1976, Mel Brooks released Silent Movie, which is more satiric in nature while also relying on an appreciation of silent comedy. As was the case with The Artist, there is some dialogue in Silent Movie. The one line (in fact, one word) of spoken dialogue is given by Marcel Marceau, a renowned mime who usually performs without speaking. These films impress me for their attempt to return to silent cinema long after it has died, even though they are only doing it for artistic nuance. The Artist uses it to be both subversive and vintage, explaining the popularity this film had with the hipsters of the world, and Silent Movie lovingly spoofs the beloved silent films and stars. 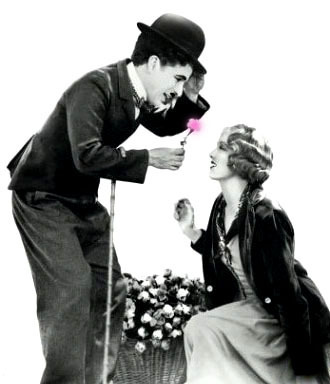 What are truly impressive are the silent films that Charles Chaplin made after 1928. In the last desert island list for classic musicals, I recalled the sequence in Singin’ in the Rain which recreates the sudden phenomenon created by The Jazz Singer in 1927. 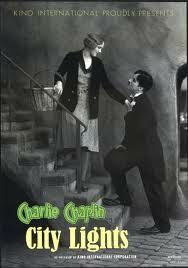 It is no coincidence that the last silent film to win Best Picture (until The Artist in 2012) was Wings in 1927. The Jazz Singer changed everything, and studios quickly adapted to the changing medium because it was what audiences demanded. By 1928 there was a ‘talkie’ Best Picture winner (The Broadway Melody), and yet Charlie Chaplin continued to make silent films all the way into the 1930s. He produced two of his greatest masterpieces while everyone else had abandoned the old-fashioned methods of filmmaking, including City Lights (1931) and Modern Times (1936). It is no secret that I am a lifelong Chaplin fan, which explains the fact that he dominates this list. I could easily have done this list purely for Chaplin films and included a few more favorites, but my inspiration for this list was the recent Blu-ray release of Safety Last! I also see no way of making this list without including The General, despite claims that it is impossible to be both a fan of Buster Keaton and Chaplin. 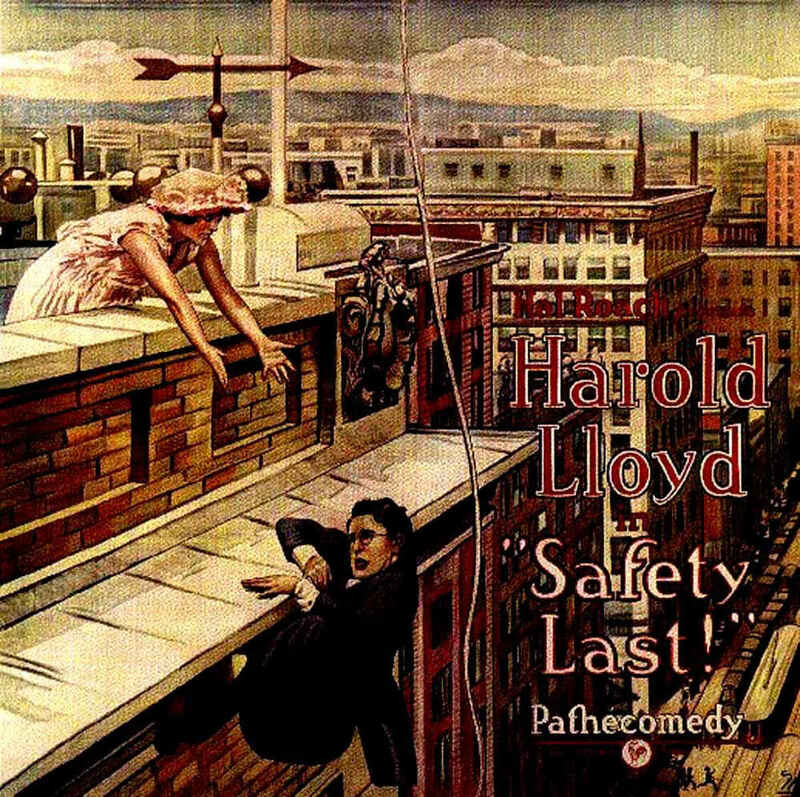 Keaton, Chaplin and Harold Lloyd may all use different approaches to the material and each have their unique personas built up, but all make use of a physical comedy that is often attributed to vaudeville. I think it is much simpler than that, and the origins of screen humor can be traced back to one of the first films ever made. The Lumiére Brothers, Auguste and Louis, are attributed with being the first filmmakers. They are a unique pair, both able to patent advancements on the creation of devices for filmmaking and to have the creativity of making the world’s first moving pictures and present them for public viewing at the Grand Café in 1895. The very first one is rather dull, including only 46 seconds of factory workers as they exit the Lumiére factory, but the creation of the second film also brought the birth of onscreen comedy. Le Jardinier (The Gardner) was the second Lumiere film screened. Also known as l’Arroseur Arrosé (The Sprinkler Sprinkled), the film is just under 50 seconds and features one gag. A gardener is tormented by a young boy who steps on his hose to cut off the water supply. 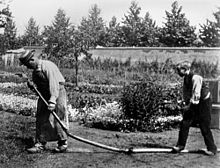 When the gardener looks into the nozzle of the hose, the boy releases the water and it squirts the man, who reacts by spanking the boy. 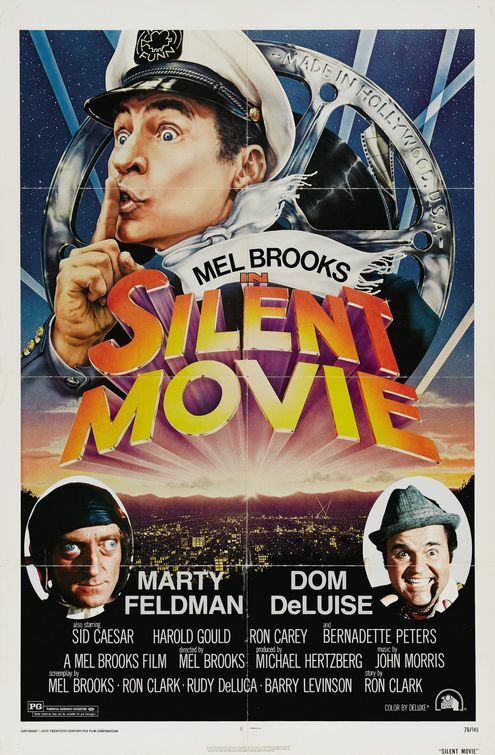 This film was the beginning of narrative cinema, and also started off cinematic comedy with a bit of slapstick that would become a staple for the trio of great silent stars on this list. Chaplin’s reoccurring character known as the Little Tramp had been around in his silent short films, but it was The Gold Rush which made him a phenomenal success. From the signature waddling walk in his over-sized shoes and pants to the undersized jacket and iconic bowler and walking cane, the Little Tramp is unmistakably recognizable. The Gold Rush has sequences which are just as recognizable, even to those who have never seen the film before. There is the dinner roll dance, which was imitated in the 1990s romantic comedy Benny & Joon, and the boiled leather shoe meal which actually put Chaplin in the hospital for insulin shock (the shoe was made out of licorice). The Gold Rush is a goldmine of unforgettable comedic moments. The story was actually one of the few that Chaplin had completely figured out prior to the beginning of filming, and has a consistency that is lacking in some of his other masterpieces. It begins with the tale of a poor prospector with hopes of striking it rich in the Klondike. The Tramp’s search for gold also ends up bringing him to a search for a companion when he meets a beautiful woman (played by Georgia Hale), and in typical fashion he must ward off the romantic competition with wit and mischievous trickery. Slapstick humor and amazingly creative comedy aside, The Gold Rush is also an extremely sweet and emotional film. The Tramp is one of those rare characters who can misbehave in the name of what is right, drawing our affection and admiration along with the laughter. 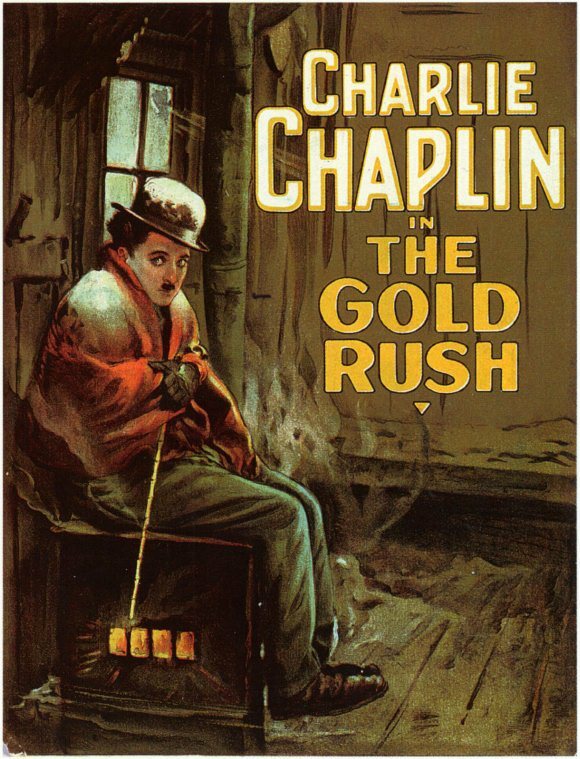 The Gold Rush would pave the way for more masterpieces, though there is no denying that they would not have been possible without the initial success of this near-perfect film. In 1942 he even re-released a new version of his 1925 classic with sound effects and a voiceover narration to replace the original dialogue cards. Whether watching the 1925 classic silent version or the 1942 re-release, there is no denying the brilliance of Charlie Chaplin’s The Gold Rush. Both are masterpieces which have just as much impact to day as when they were first created. It has been said that you can be a Charlie Chaplin fan or you can be Buster Keaton fan, but you can’t be both. I’ll admit that I feel far less sentiment for the deadpan comedy styles of Buster Keaton, and prefer the vaudevillian methods of Chaplin, but The General is proof for me that it is possible to like both these actors. Keaton himself has named this as his favorite of his own films, and it is easy to see why. The humor is spectacular and the scope of the film is monumental for a comedy, especially one about the Civil War. The train crash sequence was the single most expensive shot in the entire silent movie era. 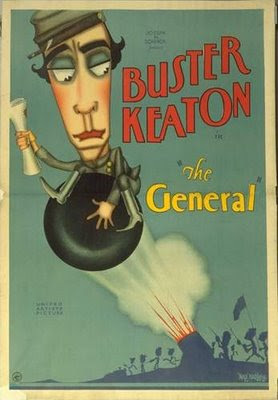 Based on a true incident during the Civil War, with remarkable abilities to stay close to the facts while still remaining hilarious, The General follows the exploits of locomotive engineer Johnnie Gray (Keaton), a man whose train is stolen by a group of Union spies on a task to sabotage the railway. 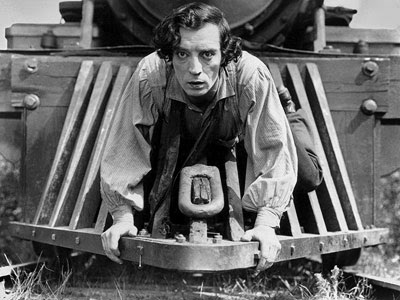 Gray takes it upon himself to pursue his locomotive, The General, at any cost. Starting on foot, Gray slowly moves up in modes of transportation, until taking a train backwards the remaining distance to his beloved locomotive. This publicity stunt is meant to be carried out by the boy’s roommate, who is able to scale the side of buildings with ease. When a mishap occurs and the roommate is unable to climb, the boy is forced to go in his place. This stunt results in the film’s best comedy, including the iconic image of Lloyd hanging from a clock, which Jackie Chan imitated in Project A. Chan has stated Lloyd as an inspiration for much of his work, which is easily noticeable despite the fact that he makes martial arts films. As we all know from the blooper reels during the credits of his films, Chan does his own stunts, as did Lloyd. Even more incredible than the climbing Lloyd does in Safety Last! is the fact that he did it missing several fingers. The fingers were blown off in a promotional accident, ironically, and Lloyd wore a glove to hide the impairment. Watching to see the way he favors his left hand while climbing is a fun activity for repeat viewers. I always try, but usually get too distracted by the film itself and find myself lost in cinematic heaven. The film Charlie Chaplin is best known for is undoubtedly The Gold Rush, but I have always preferred the small-scale sentimentality of Chaplin’s first 6-reel feature with The Tramp. 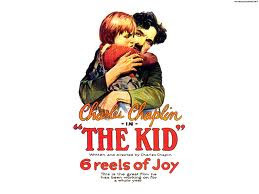 The vagabond prankster had already lived in one and two-reel films for quite some time, but Chaplin spent a year creating the first feature, The Kid. Showing both the mischievous side of The Tramp paired with his sweet innocent instincts, The Kid follows a poor vagabond who takes in an abandoned child as his own. Years later, the child (Jackie Coogan) is in danger of being taken from The Tramp and the life that they have known together. The Kid has all of the usual Tramp hijinks escaping from the grip of local authority figures, especially police officers, but Chaplin was able to add a new level of emotion and heart-tugging sentimentality with the extra time of a feature film. When I first discovered Chaplin, around the age of 10 or 11, The Kid was my favorite film. After falling in love a few times, City Lights quickly became my new favorite. Any time I feel myself growing more cynical; this is one of the films I know I can put on in order to break down those barriers. Comedy and melodrama have never been paired so perfectly, both effective in their own way and blending to make a masterpiece of a film about the sacrifices of true love. This was the first silent film that Chaplin made after the arrival of sound, and it took him three years of production in order to complete it. There was heavy encouragement to make the film in sound, which must have felt even more urgent the longer Chaplin took to complete it. The more years spent making this film meant more years gone since silent films were successfully dominant, or even present. And yet, this film saw incredible success, even pulling Albert Einstein to the theater for the premiere. The film is a simple love story with heartbreaking twists and turns. At the heart of the film is The Tramp, who falls in love with a blind flower girl (Virginia Cherrill) and decides to do everything in his power to help her. He loves her in such a selfless way that it doesn’t even matter to him if he gets credit for what he does to improve her life, and that is what makes this film so spectacularly romantic.